Home » Connectivity » Local banks collapse & sputter: Are mobile money wallets & Bitcoin our safe havens? 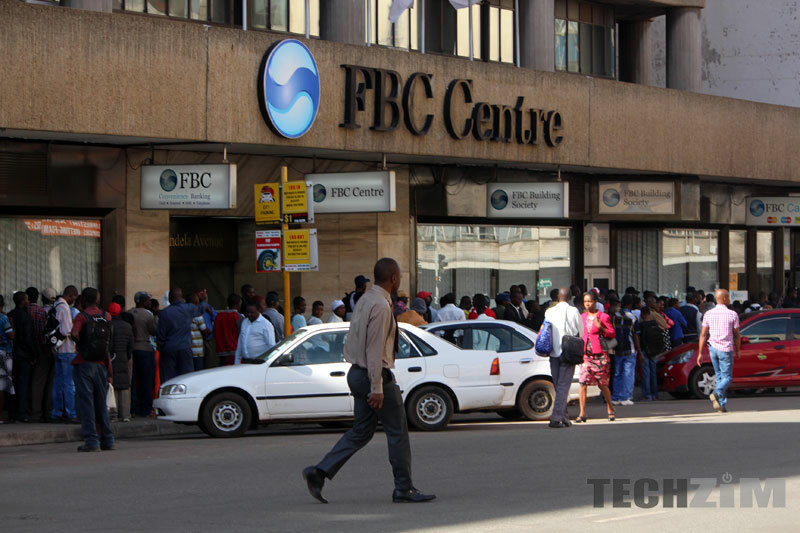 Local banks collapse & sputter: Are mobile money wallets & Bitcoin our safe havens? It’s just days into the year and it certainly looks like the financial services sector is going to go through a very rough spell in 2015. Yesterday Allied Bank, a Zimbabwean commercial bank closed shop while another institution which is still on the mend, Steward Bank, waved goodbye to its CEO. This isn’t even half of it though. Everyone knows that local banks don’t have it as good as they used to, and this is attributable to a lot of factors that are beyond bankers’ immediate control. The local economy is wheezing, liquidity is low, defaulting on loans is rampant, locals don’t believe in the sector or its institutions and there has been the rising tide of technology that has disrupted business for these guys. That’s a lot to navigate around. The long and short of it is that whatever challenges are being faced the blame can’t be heaped squarely on mismanagement or a total failure to adapt. The questions that then follow this are obvious really. What does this mean for everyone with deposits? Is the financial sector as vulnerable as it was before dollarisation? Are we as exposed to financial institution collapse and losses that we went through during the days of Barbican and CFX Bank? I wouldn’t go so far as to panic though, but it’s understandable if you end up feeling uncomfortable with everything happening and it’s perfectly rational to even go so far as to make arrangements. In 2015 I believe we have more options. There is always the mobile money wallet that has introduced the multitudes of the unbanked to bank accounts of sorts. I would definitely feel safer leaving my money in any mobile operator’s wallet. Besides the countless services that are being seamlessly integrated into the mobile money services or the ease of use and access there’s the undeniable fact that mobile network operators are yet to face any form of curatorship. Maybe all this is all the more reason that the banks need to form partnerships with the telecoms operators. It evidently makes technology adoption and the experiment with certain consumer products easier. Looking at things like mobile money agent banking it’s definitely part of the secret sauce for Steward Bank‘s turnaround. There’s also the Bitcoin option. Does it sound too far fetched for Zimbabwe? Actually no. The crypto-currency looked interesting just a year ago but from a Zimbabwean perspective it’s just gotten more appealing in the past couple of months. First we had the bond coins and now banks are coughing. At the risk of sounding like a Bitcoin or crypto-currency evangelist all I can say is that anyone in Zimbabwe who’s lived through hyperinflation, trillion dollar notes and bank queues would gladly take Bitcoin any day as an option. Granted there’s some hype to it all but there are enough entities with clout that have taken a risk with it. To put it in another way; it is much safer and (depending on how skeptical of technology you are) smarter to use a digital currency like Bitcoin that won’t expose you to the risks of queuing for withdrawal limits of $50 a day ore engaging in barter trade in our modern society. The truth is if banks don’t instill confidence in people there will always be some options for holding monetary value or moving funds, whether its Bitcoin or Telecash. NetOne introduces Emergency Airtime. Why is it free? You honestly believe bitcoin has any chance of adoption in Zim? Well, I do. I have no doubt bitcoin adoption will continue to go more and more mainstream. I say this because I live in Zimbabwe myself and I use Bitcoin for some transactions. I know a few other people who do to. And I use Bitcoin because it’s the fastest, safest and cheapest way to make payments I have ever used. And as more Zimbabweans learn that, we’ll see an increase in Bitcoin adoption. Quote me here… They will never go mainstream in Zimbabwe. Quite the contrary, I understand and know the dynamics of bitcoin way more than you think I do. Nothing to do with like or not like. That kind of blunt ignorance is what makes startups fail. The problem for which the article tries to propose bitcoin as a solution, is not a technological one. The environment(Zim) that is suggested to look at bitcoin as an alternative, is the WRONG environment. For me bitcoin is still appealing. Bitcoin’s tech is the revolution. There are even startups like http://www.bitbond.com that are already replacing banks. It enables cross-border lending and allows to earn higher interest rates than what your bank pays. Just to add. It’s a lot easier to open a bitcoin wallet and add some bitcoins in it than it is to open a bank account. Plus when you move to Bitcoin, you won’t have to deal with queues, banking hours (why do we still have that), transaction fees which is more than a few US cents, zero guarantee that your money will be there tomorrow, money transfers which take more than a few seconds, … I could go on. how, where and what is the process of buying bitcoins from zimbabwe? can we have one of your famous “how to” articles on setting up bitcoin accounts etc from zimbabwe? personal i think by end of the year bitcoins will have taken all in some parts of the country, as for i think its time for digital currency because its safe and convenient no ques and no limits on the amount to withdraw and can be used in any country. I think BitCoin has a chance in Zim. I remember one BitCoin documentary I watched where the BitCoin chief developer suggested that Zim should take on BitCoin instead of the US$ we use. Personally I like BitCoin, but I’m worried about it’s stability. Convince me there, and I will take on BitCoin. Zimbabwean’s just never learn, all still dream that all is going come right & with a flash of a Bitcoin…… Thank goodness I am not gullible. the problem with bitcoin is the complexity of storing the digital currency & the transaction process for non-tech people. the moment we can have a physical wallet that authenticates transactions using your finger print then we can have bitcoin go mainstream. when we say bitcoin will go mainstream we are saying gogo varikumusha will use bitcoin, we are saying kombi drivers will use bitcoin, we are saying my parents & my siblings will use bitcoin. i dont see that happening anytime soon with its current configuration of the wallet. Is bitcoin legal? What currency is it backed on? Who really is Satoshi Nakamoto and why is he afraid to come out in the open?Do you seriously think our government would adopt bitcoin? Yes, we are slowly moving towards cashless system, but bitcoin may not be a solution for us now. Local banks should team up with MNOs. BitCoin will be the ONLY way I send money to Zimbabwe as soon as I have an economical way to do so. I’m thinking of a service like Bitpesa, where the bitcoin is immediately converted to ecocash and delivered to the recipient’s phone. The recipient doesn’t even need to know anything about bitcoin or even that it was used. Imagine sending micro-remittances directly to the people you want to, without intermediaries, at 3% to 5% each. I can send $10 to budi, $100 to mom and dad, $20 to gogo, and $5 to Mr. Moyo for the same overall 3% and not worry about sending it all to budi and having him portion it out each other person. This is already possible for Kenya via bitpesa, and a growing number of countries around the world via startups. I just sent to South Africa using bitx.co.za and paid (get this) 0%. I just hope it happens in Zim soon. I know some people who are working on it :-P. The best of luck to them. Adoption will be difficult at first, but once it catches on, everyone will be using it. That, or bitcoin will die. I guess we’ll see. currency, … just remember the redicle that was made against the inception of i.e. Facebook, WhatsApp, EcoCash etc.. into our community. It was demonised! But whoever is not part of that community today is considered lagging, not to mention inconvinient. I know some people who are working on Bitcoin Inception in Zimbabwe, please be diligent knowing that its a matter of time, awareness and the better-good Bitcoin brings to our Zimbabwean community. > Using Bitcoin crypto currency is the new modern and acceptable diversified way of transacting. Yes! Fine tuning and alignment with Regulatory Bodies Statutes must be adhered to, by all means nonetheless.